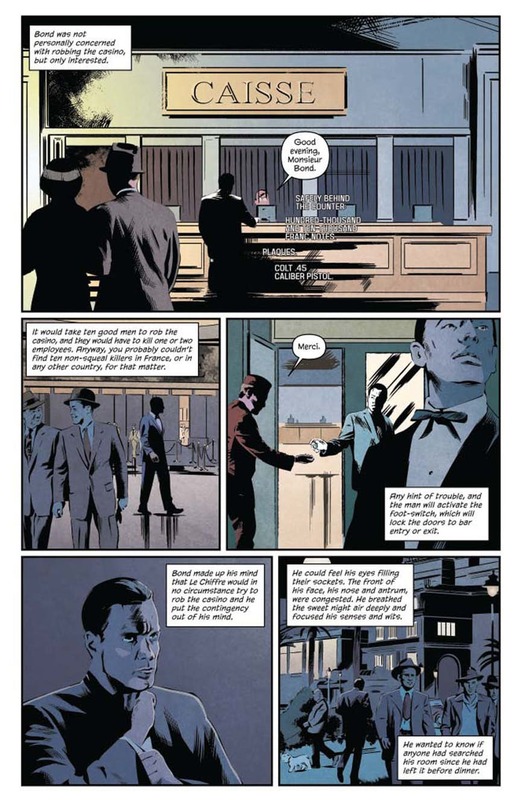 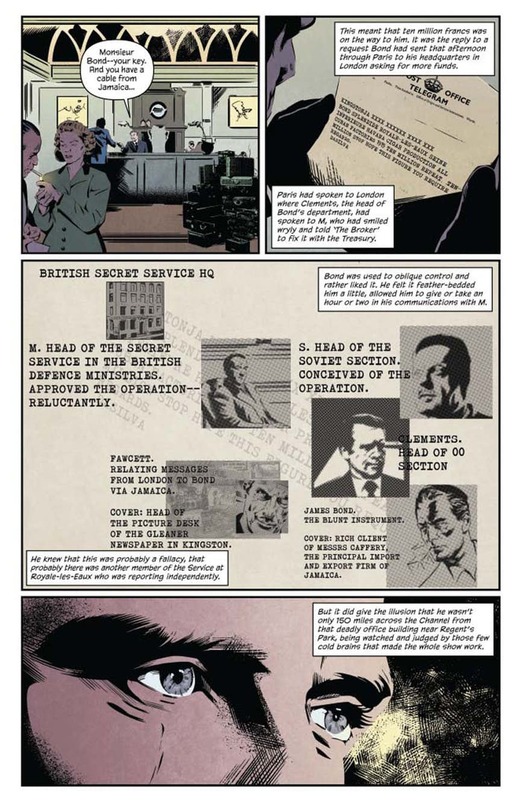 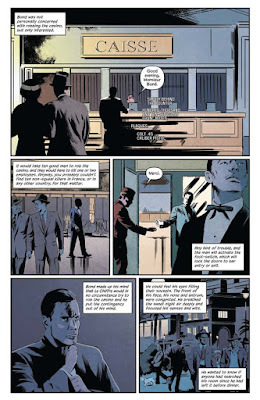 SNEAK PEEK: Ian Fleming's "James Bond: Casino Royale"
Ian Fleming's "James Bond: Casino Royale"
"...author Ian Fleming's literary debut of 'British Secret Service' agent '007' is stylishly adapted to the 'sequential art' medium by Van Jensen and Dennis Calero in the official 'James Bond: Casino Royale' graphic novel. 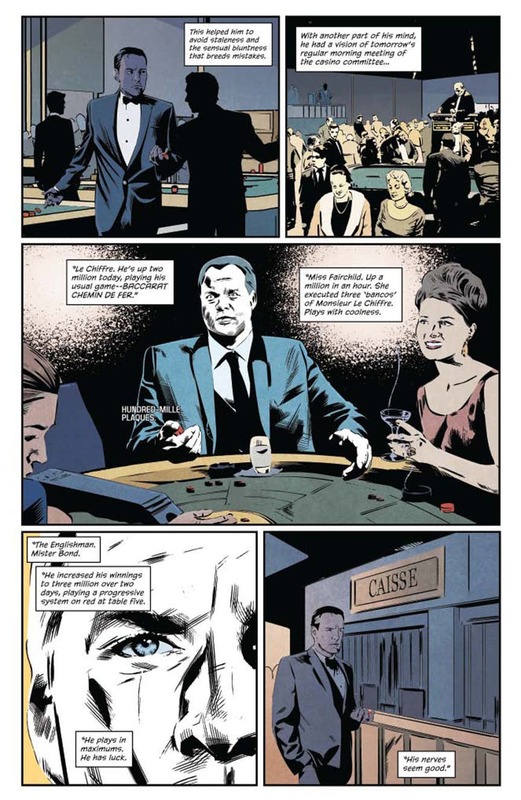 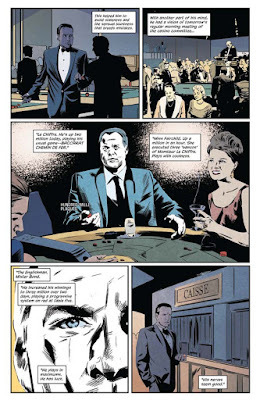 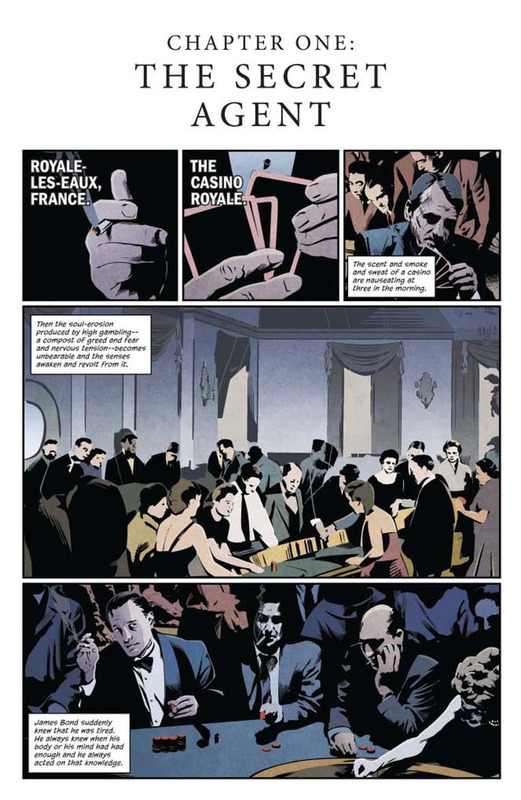 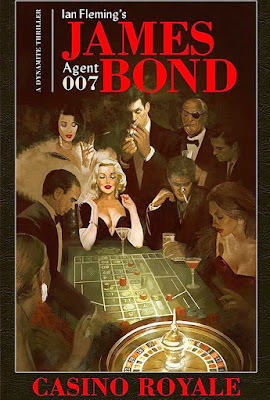 "Sent to a French casino in 'Royale-les-Eaux', 'Bond' aims to eliminate the threat of the deadly 'Le Chiffre' by bankrupting the ruthless 'SMERSH' operative at the baccarat table. 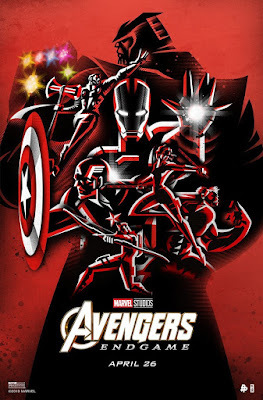 "However, when the luck of the draw favors his enemy, 007 becomes the target of assassins in a high-stakes game of cat-and-mouse..."